National motto: "Fraternité, Justice, Travail"
Bűrűri wa Abĩrika. 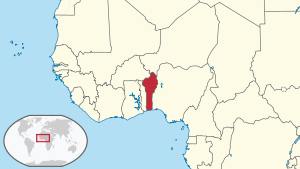 Műciĩ mũnene wa Benin nĩ Porto-Novo. This page was last edited on 12 July 2018, at 04:13.